OurEnergyPolicy.org | After Two Defeats in Washington State, Where Next For A Carbon Tax? Conservative and progressive policy wonks agree: a carbon tax is the most promising of all tools to fight climate change. Such a tax would spur investments in green energy and encourage motorists to buy more electric cars. It would minimize the role of regulatory bureaucrats and maximize that of markets. What is not to love about a carbon tax? The sticking point is what to do with the billions of dollars of revenues such a tax would generate. Conservatives favor using the money for a revenue-neutral tax swap. Lower taxes on capital would encourage investment, lower payroll taxes would encourage welfare recipients to take jobs, lower sales taxes would promote commerce. Progressives favor using the revenue for a combination of green investment and aid to low-income families. But if your overriding goal is to combat climate change, it seems there ought to be some revenue distribution formula that would build a winning coalition. But maybe not. Washington State voters have now rejected both approaches by wide margins. A 2016 initiative, I-732 would have used carbon tax revenues to cut sales taxes and give tax relief to low-income families. It lost by a 59 to 41 margin. 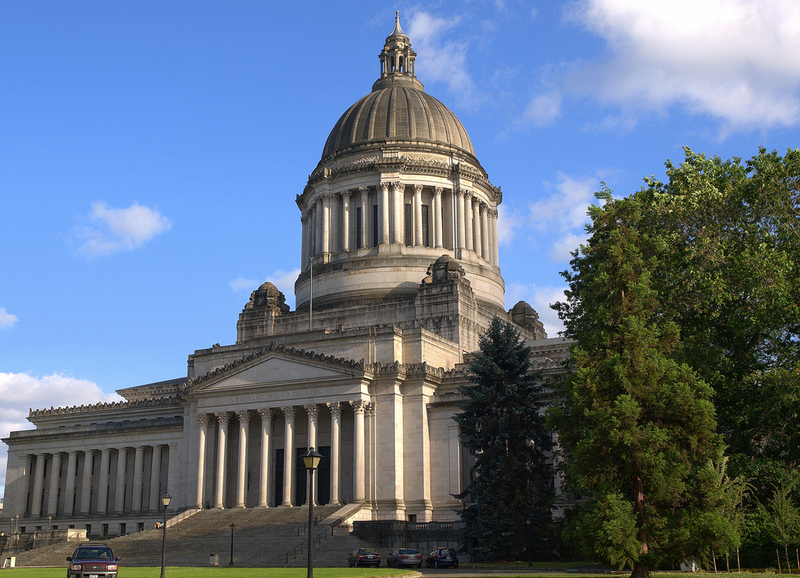 The 2018 version, I-1631, took the opposite tack, proposing fund investments in clean energy and healthy forests, with a little for low-income families and healthy communities. It was defeated 56 to 44. Where to go from here? Can further tinkering with revenue distribution push a carbon tax over the top? For example, the Market Choice Act, submitted this year by two Republican House members, proposed using carbon tax revenues to replace the federal gasoline tax and fund infrastructure. Fear of higher gasoline prices by voters in the wide-open spaces of Eastern Washington helped defeat I-1631. Or will we have to wait for more hurricanes and wildfires to wake voters up to the risks of climate change? One thing is sure: As David Roberts wrote in an analysis of the I-732 debacle, we have seen the future of climate politics played out in Washington State, and it is not pretty. 1) What revenue distribution structure is likely to garner enough support to be passed? 2) Are there overlooked or alternative revenue distribution structures that should be considered? 3) What are the most important social factors to consider when designing the revenue distribution part of a Carbon Tax? 33 Responses to After Two Defeats in Washington State, Where Next For A Carbon Tax? The best policy… and the one that will likely be implemented at the Federal level is called Fee and Dividend (“F&D”), aka Carbon Dividends Plan (“CDP”). Under F&D/CDP, a rising fee is placed in the CO2 content of fossil fuels and this fee is paid by the fossil fuel companies at the mine, well, or port of entry. 100% of the money collected — every penny — is distributed to every legal resident on an equal basis… so you and Bill Gates get the same check every month. Because wealthy people generate far more CO2 than the average person and because governments generate about 30% of CO2 but don’t get a dividend, most lower and middle income people (70% overall) will earn more from the dividend than they pay in higher prices. To protect American businesses and encourage others countries to implement a carbon pricing policy, a Border Adjustment Duty will be placed on products coming from countries without their own price on carbon. “Fee and Dividend” is promoted by a nonpartisan grassroots group called Citizens Climate Lobby. A similar policy, called Carbon Dividends Plan, is promoted by a Republican group of elder statesmen called the Climate Leadership Council. The CLC approach has a carbon fee that starts higher ($40/ton vs. $10/ton for F&D) but grows more slowly than the CCL plan (F&D grows at $10/ton per year while CDP grows at cost of living or similar small amount), eliminates some other climate regulations, and eliminates fossil fuel company’s liability for past emissions. This makes it somewhat less effective, but more attractive to the fossil fuel industry and other politically powerful groups. About a month ago, Exxon-Mobil came out in favor of CDP, joining other companies such as Shell and GM. So this policy has growing support. What other policy is supported by Jim Hansen (F&D) and Exxon (CDP)?!? It is imperative that all the money collected is returned to the public in order to get public support for a high carbon fee. Under F&D, the carbon fee will reach $100/ton in 10 years and $200/ton in 20… and everyone will know ahead of time exactly what the fee will be in the future. In order to urgently and drastically reduce emissions, a high carbon fee is needed and F&D is the only way for the public to accept a high fee (and they will ask that the fee be raised further!). Exxon supports the CDP plan because they feel a $40~50/ton fee won’t hurt business that much (and they already plan their business using a “phantom” fee in that range). So we should pass F&D or CDP as soon as possible. If CDP gets passed, we then should work to change the yearly increase to $10/year up from cost of living. A study of CCL’s F&D policy shows it will, over 20 years, create 2.8 million jobs, grow GDP by $1.4 trillion, while reducing emissions by over 50%. By Mike Shatzkin Founder & CEO, The Idea Logical Company, Inc. Almost completely agree with Dan. Except once this concept is implemented, the fee will actually go up faster because the majority will make money on it. That’s a GOOD thing!! I agree with Dan Miller, MIke Shatzkin, et al who recommend a “Fee and Dividend”, as promoted by the Citizens Climate Lobby, as the most likely to be effective and accepted by the public. Best is taxed at the source, without industry exceptions, rather than at the end use — with special rules, as discussed by Henry M. Goldberg, for imports. However, a huge issue I haven’t seen mentioned is that the Washington State initiative was reportedly leading until the fossil fuel industry pumped tens of millions of dollars into opposition ads. To deal with that, we may need, at minimum, much better campaign finance reporting laws. Miller, Schatzkin, Gremban and others point to the CDL “fee and dividend” plan as their favored option. I agree, the CDL approach has much political support and inherent merit. However, it also has one major drawback. F&D is not one major policy proposal, but two. It simultaneously implements a carbon tax to fight climate change and a type of basic income to address inequality. I am not opposed to the idea of a basic income. In fact, I have written extensively in support of one. However, the carbon dividend or any kind of basic income opens a whole can of policy-design worms. One of them is that of integrating it with other social policies. Simply slapping the carbon dividend on top of our existing uncoordinated clutter of social policies is unlikely to be the best way. Another issue is whether a carbon tax is the best way to finance a basic income. These issues cause me to doubt the premise that it would be easier to enact two sweeping policy changes at once than each of them at a time. Ed: While F&D is certainly anti-regressive and helps address the problem of income inequality, that is not its major purpose. F&D places a tax on CO2 use and it turns out, not surprisingly, that wealthy people emit more CO2 than lower income people. So, it makes sense that they pay a higher amount of tax (indirectly through their spending). Of course, wealthy people pay more property taxes because they own more property and no one seems to mind that and it seems fair. F&D distributes all the tax collected to every legal resident on an equal basis. While this means that people will have extra money to do “green” things like insulate their house or buy an EV, that is not the main purpose of the distribution. The reason we should give all the money back to everyone is so the public supports a high price on carbon. The higher the price on carbon, the faster and larger the emissions reductions will be. We already have too much CO2 in the atmosphere so time is of the essence and a high CO2 fee (e.g., $100+/ton) will give us a much better chance of survival than a small fee will. Very simple! Stop trying to control the money. Carbon fee and dividend! Refund the money in equal shares to every taxpayer. How could that alternative be entirely left out of the setup piece? This is the best approach for MANY reasons. The carbon tax in Washington State was viewed as pork-barrel politics to send money to the favorite government-sponsored programs of the advocates. The public will take carbon taxes seriously when they are not used to financially enrich politically-connected groups. As long as carbon reduction measures are designed to enrich specific interest groups, the carbon story will be viewed as a cover story to enrich those politically connected groups. America is way to cynical for any other option than a carbon tax with full rebate to the public to work. This topic is based on a false premise. The premise is that the conservative and progressive policy wonks are correct in their belief that it is appropriate for the government to engage in a fight against climate change. The study that is reported at http://wmbriggs.com/post/7923/ reveals that a statistical population does not underlie any of the climate models that are the creators of the belief of the policy wonks. An application of the equivocation fallacy creates the misimpression of the existence of this population. The problem is that the climate establishment is losing credibility. Historical data gets worse the further back in time you go, the models over predict the impact of increasing CO2 emissions and US emissions have been declining since the peak in 2007 while GDP has increased about 40%. Maybe the Establishment should take a recess and figure out how to improve the quality and credibility of its work. In the meantime, if you want to tax carbon support a gasoline and diesel tax increase with the proceeds going to the Highway Trust Fund. Bill: I have no idea what you are referring to. Models don’t over predict impacts of CO2 emissions. Climate impacts are accelerating. The probability of an Extremely Hot Summer (3+ sigma over the 1950-1980 baseline) has increased 10,000% in the past 50 years. Recent data on ocean heat content show that climate sensitivity is likely higher than the low numbers you have touted in the past. Global emissions… the most important piece of data, are still going up and the US numbers look better than they are by ignoring the scale of fugitive emissions. If anything, climate scientists have been conservative in their predictions. The recent IPCC 1.5ºC and US National Assessment reports clearly state that time is running out and major efforts to reduce emissions are needed now. The time to “wait and see” is over. Dan, you are a one trick pony. My comment was in support of a gasoline tax and nothing in it said wait and see. You ignore the decline in CO2 emissions since 2007 and instead produce a stream of babble. I can’t believe that you can claim that models don’t over predict temperature increases since that has been extensively documented. I choose to ignore all that you say since it is pure ideology. The discussion is about US actions. When I cite something that conflicts with your preconceived views, you simply go to some other assertion. In this case, global emissions. US emissions are down; not up. You don’t like that because the reductions were achieved without your preferred command and control approach. You have used up your allocation of my responses to pedantic babel. Bill (re: your 4:14pm final comment): As shown in the CCL REMI report, we can cut emissions in half while creating millions of jobs and growing GDP by $1.4 trillion. I’m not sure about what happens to economic growth as we cut the other 50% of emissions. But a functioning economic system, let alone growth, is at risk if we do not cut our emissions drastically. The status quo is not an available option, so we either act or suffer. Do tell us where to find that “extensive documentation”. Here is NASA information. https://climate.nasa.gov/ The info has real numbers.. There is a nice global picture that turns color according to the temperatures in various places from 1884 to 2017, the time frame for which we have records. There is also a chart showing the annual mean temperature … a global land-ocean temperature index. From 1960 until now the rise is 1 degree. Yes it moves up and down but that movement is over a rising trajectory. Bill: The only thing that Mother Nature cares about is global emissions. But it’s great that the US has theoretically reduced CO2 emissions, even though it came about by increasing the use of natural gas that has a higher warming impact than the EPA calculates. But are you implying that since the US emissions are dropping that we can continue doing what we are doing? We need to be at zero emissions around 2050 so the status quo is not going to cut it. Dan, this is the last comment I plan to make on your comments. You should rely on actual statements and not put so much emphasis on assumptions. If you think that the world or US can get to zero emissions while maintaining reasonable economic growth, you are more naive than I think you are. I support the concept of carbon taxes as an important policy tool to address global warming by incentivizing the adoption of fossil fuel alternatives and development of clean-energy technologies as well as promoting conservation by consumers. However, the approach of individual states or even countries following a “go-it-alone” approach to implementing carbon fees will not work because the global warming problem will not be solved by such isolated actions and the states/countries doing this will be penalized with non-competitive economies vs. the regions of the world that do not adopt carbon taxes. In my OurEnergyPolicy.org discussion prompt https://www.ourenergypolicy.org/strategic-planning-to-avert-a-global-warming-catastrophe/, I argue that the Paris climate accord must be evolved so that every country is required to develop a rigorous strategic planning process to reduce their net greenhouse gas emissions towards zero by mid-century. The “Carbon Fee and Dividend” approach (advocated by Dan Miller and others) of the U.S. imposing a border duty on countries that don’t have carbon taxes would be infeasible to implement by the U.S. on its own. Every product uses energy in its production so the proposed U.S “Border Adjustment Duty” approach would have to apply carbon taxes of various magnitudes on every product imported into the United States from every country that does not have a carbon tax equivalent to the U.S. This would create massive trade conflict among nations. We already have the beginnings of a harmful trade war being launched by the Trump administration. I think the better and necessary approach to solve the global warming problem is as I said to evolve the Paris Climate Agreement to require every country to institute a strategic plan to reduce their net greenhouse gas emissions towards zero by mid-century. Then each country can develop their own actions as to how they want to do this, including incorporating carbon taxes in some form. Maybe carbon taxes among countries could also be harmonized as this global strategic planning process unfolds. The global approach and commitment would ensure that all countries are contributing to halting global warming, as is required, and no country is at a competitive disadvantage in doing so. While it would be wonderful if someone could wave a magic wand and have all countries agree to mandatory emissions reductions, it hasn’t happened for 30 years and I don’t know why all countries would agree now. The beauty of the border adjustment tax is that it uses economic leverage to get countries to do the right thing. Each country is faced with the following question: Do I want to send lots of money to the U.S. or do I want to kept that money in my own country? They will want to keep it themselves by implementing a carbon price! Also, there is no reason for the U.S. to go it alone on this. The EU and China are ahead of the U.S. on carbon pricing, so imagine if — after the U.S. finally implements a Fee and Dividend policy — that the EU, China, and the U.S. implement a joint border adjustment tax! In a year, almost all countries would have a carbon pricing policy and no magic wand would be needed! You are arguing that the U.S., China, and the European Union will get together and institute common carbon taxes and that they will all institute border adjustment duties on countries that don’t have carbon taxes at the same level. I think that is less likely and less effective than my proposal, and would lead to massive trade conflict. By the way, I looked at the Carbon Tax Center website and they say China does not currently have a carbon tax (contradicting what you are saying), and there is no common European Union approach to carbon taxes yet. I believe the only way to solve the global warming problem is for the Paris climate agreement to be evolved to requiring every country to develop strategic plans to reduce net greenhouse gas emissions towards zero by mid-century and have the UN monitor their progress over time. It is becoming clear that the Paris climate accord of voluntary targets is not sufficient to prevent average global temperature rising above the 2ºC goal as global emissions are still rising and the voluntary targets are not sufficient (see for example, https://www.washingtonpost.com/energy-environment/2018/11/27/countries-vowed-cut-carbon-emissions-they-arent-even-close-their-goals-un-report-finds/?utm_term=.bbe7115c3475). My proposal would get the commitment of all countries to do what is necessary, and they can then determine how best to do this and whether common carbon tax policies across countries is the way they want to go. Your approach of forcing countries to institute similar carbon fee & dividend policies to the U.S. without getting the commitment I propose is a recipe for massive trade conflict. Moreover, you talk about a vague “border adjustment tax” imposed by the U.S. (and maybe China and the European Union) on other countries. How would you structure such a border adjustment tax when different countries have different products exported to the U.S. with different levels of fossil fuel inputs used to produce/transport those products? I think it would be extremely complex to determine how to fairly structure such border adjustment taxes for different countries and different products. Your approach sounds “Trump-like” to me in that you are trying to force/threaten other countries to cooperate rather than getting them to agree directly that they need to have a commitment to reduce net greenhouse gas emissions towards zero. The EU Emissions Trading Scheme (ETS) has been in place for many years. China is setting up a nationwide ETS-like system, which is running regionally now. The US has nothing at the national level. You and I are in a agreement about what needs to be done and I would welcome countries to convert their voluntary pledges under the Paris Accord to firm commitments to eliminate fossil fuels by 2050. I just don’t see how that will happen. When the US finally implements a carbon pricing policy, I think will be much easier to get the EU, China, and the US to agree on a border adjustment tax compared to getting all countries to agree on firm commitments to eliminate fossil fuels over a set timeframe. While estimating the carbon content of Imported products would be a bit messy, it won’t be much messier than the current import duty system that has different tariffs apply depending on subtle differences between products. Plus, there is no need for the tariff assessment to be extremely accurate for the policy to be effective. You and I probably agree that either approach, if implemented, would be effective. So we should pursue both approaches and see which one gets implemented first! Dan, Henry: I have enjoyed your back-and-forth about border carbon adjustments (BCAs). I agree that they are conceptually a good idea but that they raise some thorny implementation problem. You, and other readers, might be interested to see the way Adele Morris addresses some of those problems in a recent study for the Tax Policy Center. Among other things, Morris agrees that “Ideally, U.S. diplomats would leverage a domestic carbon tax into comparable action by other countries.” She notes that ” While simple in concept, BCAs raise numerous issues in practice. Although solutions are available, they are unlikely to be elegant.” Finally, she briefly discusses an important issue that neither of you mention, namely, how to make a BCA consistent with WTO rules on most favored nations, which say that any trade restrictions must be implemented in a way that does not discriminate among goods from different member countries. Ed: My understanding is that a border adjustment tariff is allowed under WTO as long as you have such a tax on your own products (which we would). I read Ed’s referenced recent paper by Adele Morris discussing issues related to border carbon adjustments for implementing carbon tax policies (thanks for suggesting that Ed). I am surprised all the carbon tax bills (even ones proposed by conservatives) are suggesting the U.S. try to implement such border carbon adjustments that appear to be an administrative nightmare and huge litigation area for the WTO to wade through as countries would very likely complain about the process for estimating the carbon import tariffs they have to pay. I still believe it is better not to go down this road to avoid these massive trade conflict/administration burdens. Putting all the emphasis on attempting to force every country in the world to implement similar carbon tax policies to the United States is doing things in the wrong order, and carbon taxes are only part of the policies that countries need to establish to reduce their greenhouse gas (GHG) emissions towards zero. Each country needs a strategic plan in every sector of the economy to reduce GHG emissions towards zero, which involves various government policies beyond carbon taxes that give incentives for change. Here are some examples where government/industry policy is required beyond carbon tax incentives. In the electric power sector there need to be policies to develop new inter-regional high-capacity power transmission networks and smart grids for supply/demand management of renewable power. In the transportation sector, governments need to institute policies to build service station infrastructure to supply electric/hydrogen vehicles. In the telecommunications sector, governments need to establish rights-of-way for broadband fiber optic networks to reach rural communities. In the residential sector, governments need to consider subsidies for replacement of fossil-fuel heating with renewable electric power systems. In the agriculture sector, new policies are required to reduce methane emissions from livestock and the release of nitrous oxides from fertilizers. Governments must acknowledge that each country needs a rigorous strategic plan for how to reduce their GHG emissions toward zero by mid-century. Carbon taxes will help do this but they are being overestimated in their impact because many other initiatives must be undertaken as well. Starting off on the wrong foot by putting all the emphasis on carbon taxes with “problem-ridden” border adjustment duties is just going to create a great deal of international conflict and make it harder to get on the required path of strategic plans (incorporating carbon taxes) that reduce each country’s GHG emissions towards zero in the relatively short time frame available. Henry: It’s not one or the other, it’s both. F&D is estimated to bring emissions down by about half in 20 years, but we still need to eliminate the other half by regulations or other means. The border adjustment tariff may be a bit messy (but not much messier than the current tariff system) but that will be far, far less messy than dealing with accelerating climate impacts. If you can figure out how to get all countries to bring their emissions down to zero in the next 20 to 30 years starting right now, then you will get the Noble Prize. I don’t see that happening, but I encourage you to try. I think that carbon pricing implemented by China, EU, and the US coupled with a border adjustment has a chance of happening, so we should pursue that too. Note that there is nothing that is going to force us to do the right thing. Since the first IPCC meeting, global emissions have doubled! I’m confident that we can do something to reduce the damage of climate change, but I’m not confident that we will. There is very little global leadership on this (certainly not the US!). Innovative carbon pricing policies like F&D that can appeal to the public are a tool that we should pursue. But we should pursue all other avenues as well. All hands on deck! I took the trouble to read through one and to skim the second resource that Bill O’Keefe recommended. While I am not a statistician of any kind, I saw nothing that substantiated global statements about the documented and extremely over predicted temperature increases or ideologically based climate facts. Regarding Professor Christy … I can’t critique his comments as I have no way of validating his use of “bulk atmospheric temperature” as his measure of comparison, or the validity of his “averaged model” as a method to compare results. What I can say is that he is wrong about Artic ice not being an issue. The International Maritime Organization’s Marine Environment Protection Committee has findings that say, “Arctic sea ice has become more mobile as it has decreased in thickness and extent. It has therefore pushed through channels in the Arctic Ocean such as the Bering and Nares Straits and ended up accumulating more in southern waters than before.” Shipping is concerned. FACT … Arctic sea ice reaches its minimum each September. September Arctic sea ice is now “declining at a rate of 12.8 percent per decade, relative to the 1981 to 2010 average,” as derived from satellite observations. Regarding a carbon tax. I have always thought it was a good ‘free msrket’ solution and have read that fossil companies have already built in some level of carbon tax. I also think that now that the prices of onshore wind and rural solar are cost competitive we may have passed the point of putting our eggs in the tax basket. What is truly needed is regulatory change that no longer pays utilities to build more and sell more. We also need to pass PACE loans to makie it easy for electricity users to build on-site generation and fund building efficiency improvements. Isn’t that part of the point of a carbon tax? Viewed from the supply side (utilities’ point of view) it does encourage generation of green energy and discourage production of carbon-intensive energy. However, the higher consumer-level prices induced by a carbon tax have important effects on the demand side in discouraging the use of energy in general and carbon-based energy in particular. In that sense, a carbon tax remains a useful part of the policy mix even after green energy sources become economically competitive — although its relevance would eventually fade once green energy entirely displaced carbon-based energy. There is also the issue of applying a carbon tax to non-energy industrial sources, of which I think cement is considered one of the most important, and also potentially to agriculture, especially meat production. Oh Dear … “Encourage” and “Discourage” and words this English major doesn’t find strong enough for where we are today. Rural solar and onshore wind are leading the way as cost competitive sources. Storage, followed by offshore wind, will also reach cost competitive prices in the next 5-10 years. Add to that the facts that renewables have an operation and maintenance advantage. Future cost projections don’t have to worry about resource price fluctuation. I just think those cost advantages should be encouragement enough, but they won’t be if almost ½ our states continue to maintain monopoly regulation which rewards building more central generation and selling more electricity. We must really tackle the regulation issues. CitiGroup has a bunch of papers, starting in 2013 with Energy Darwinism, talking about the problem utilities will have with a declining demand for centrally generated electricity that could reach 50%. They see a potential market for $1.2 Trillion through retrofit efficiency savings. New financial instruments, as well as expansion of PACE loans as well as OnBill financing, are needed to finance this market: “financial solutions that have been widely available in markets such as auto loans or credit card receivables. Innovative finance is therefore critical to unlocking the energy efficiency opportunity.” Efficiency and onsite generation are the cheapest way forward we just need to finance them. You are right that we need to start addressing agriculture. I will be interested to see what happens with the $250 million joint venture with Smithfield Foods and Dominion to capture methane from hog waste on farms in Virginia and two other states for use as natural gas by homes and businesses, announced in the Richmond Times Dispatch recently. “The new venture, Align Renewable Natural Gas, would begin with four projects, including one at a cluster of two dozen hog farms that supply Smithfield Foods in the Waverly area of Sussex County. The other projects include major Smithfield hog farming operations in North Carolina and Utah, where Dominion operates a natural gas transmission system. Smithfield has experimented with the technology at a pilot project in North Carolina and hog farms in Missouri, but CEO Kenneth M. Sullivan said, “No one is doing this on the size and scale we’ve just announced.” Nice, especially because of the weather issues from climate change that endanger all around those hog waste pits. Jane: I am with you on the need to address perverse incentives in current utility regulation. With regard to agriculture, yes, it is a great idea to make agriculture greener, especially meat, which is estimated to account for as much as 80 percent of all agricultural emissions. Measures like methane capture from manure would help here, although according to what I read, a greater part of methane emissions comes from enteric fermentation via belching rather than manure. But we also should be looking at the demand side there, just as we do in seeking measures like carbon taxes to reduce demand for fossil fuels. What would you think about extending carbon taxes to meat and other animal based foods? If we paid $40 a pound for beefsteak instead of $10, I am guessing we would eat a lot less of it. I am not a vegan, nor am I advocating that everyone should become vegan, but I have lots of good recipes that produce delicious meat-flavored dishes with just an ounce or two of actual meat per portion rather than just forking down huge chunks of it. “A team of 38 researchers spent more than two years looking at “natural climate solutions”—a range of strategies that includes planting trees in cities, preventing the conversion of natural grassland to farmland and shifting to fertilizers that produce less greenhouse gas emissions. But the “report also finds that many of these solutions… have additional benefits and incentives, including cleaner water, better air and more productive soil.” Living in VA where we have had to fight climate deniers we found the best way to clean energy was clean air and clean water as a big benefit to renewable energy, something that makes the mostly cost competitive or soon to be technologies a lot easier to sell. A carbon tax complicates farm bill issues and would be politically difficult. Sorry. Bill O’Keefe: Recent emissions declines are due to market forces: the switch from coal to less expensive natural gas generation. However, this past year emissions reversed course and increased, indicating that the transition to natural gas has largely run its course. A carbon tax would renew the transition, as it strengthens incentives to switch to lower carbon energy sources. A carbon tax is definitely the way to go. It’s simplicity and ease of collection, the ability to predict where it will be in the future, and the incentive to increase it, all make it superior to cap and trade, which, as we have seen, carries an incentive to reduce the price and therefore the emissions reduction. I would far rather have the price set high (too high is a good thing) than set emissions caps too high. An interesting observation for those who think a carbon fee would not do enough: at $75/ton, you are close to $.70/gallon, which consumers will notice, triggering a massive shift to electric vehicles. At $75-$80/ton, nuclear energy becomes competitive with natural gas at $4, triggering a renaissance of nuclear energy. Newer approaches to nuclear energy are available which deal with the waste issue by recycling it into energy. With a rising carbon tax, industry will have time to predict when we will hit such prices, and plan ahead. Innovation will be encouraged and new forms of energy storage will allow a massive growth in renewables….this is already happening. Yes, some tinkering could enhance it…especially as it relates to agriculture. Helping farmers transition their practices, payments to those who sequester carbon, etc. And some regulatory approach is needed to hit sectors where even a $100/ton price is not enough. But a price is the only way to massively shift our economy to cleaner fuel sources. And yes, we can grow our economy at the same time…indeed, massive shifts typically trigger faster growth…just as when we shifted from mechanical adding machines to computers. I would argue that you need to return 70-90% of the revenues in a rebate, the carbon dividend would thus provide 60-80% of families with at least as much as increased costs. You could and should spend 1-2% on helping coal communities transition. 10%+ could go to green infrastructure…both building resilience and funding a stronger electric grid. I do think allowing for some spending on infrastructure would be supported by the public, as long as the vast majority is rebated. And the smartest idea I have heard yet is the “prebate” which was included in the latest bipartisan legislative proposal…start the rebates even before the tax starts…so people start loving it. We can do this. And with a border adjustment, China and Europe would agree to match us from the beginning, creating massive trade and diplomatic pressure on every other country to match the fee. A global, uniform, significant fee on carbon is the only responsible path forward to help transition the global economy. There is also heat energy in these exhaust streams that need to be recovered and utilized. Then cool exhaust is being vented into the atmosphere, reducing the effects of global warming. Taking the heat energy out of the combusted fossil fuel exhaust “creates water”. Lots of distilled water! Coal ash also has useful purposes. Waste Is Not Waste If It Has A Purpose, and Sidel has given a purpose to combusted fossil fuel exhaust.